Watch Dogs Gets A Release Date and A PS4 Bundle (in Europe) - This Is My Joystick! A double whammy of Watch Dogs new for you. 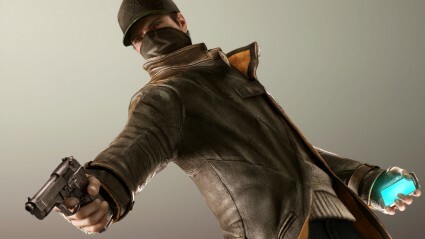 Firstly, Watch Dogs has a release date! May the 27th is the date you may want to put into your diaries. That’s as long as you don’t fear someone hacking into your diary and finding out your plans for the year. Also, Sony have teamed up with Ubisoft to produce both a PS3 and PS4 bundle. No word on the price yet (hey Sony! The Titanfall bundle doesn’t cost extra, just so you know) and also keep in mind that these bundles have only been confirmed for Europe so far. Sorry rest of the world. Some concerns had been raised by Watch Dog‘s very sudden disappearance from the launch line-up of the Xbox One and PS4, but fingers are crossed that this extra time will leave us with a game worth the wait. It’d also be far too embarrassing for Sony and Ubisfot to have to appologise again for another failed bundle. I don’t know why, but the delay has kind of left me a little cautious on Watch Dogs. I’ll certainly keep an eye out for reviews, but I’m just not as excited as I was before. Maybe it’s because after playing Black Flag I’ve realised I want to run around as a real pirate and not as some gruff hacker who pulls his scarf over his face like he’s stuck on a train with someone who’s passed some foul smelling gas.